Whether you have stress, pain or chronic health problems every level of the body can be affected – Physical, Mental, Emotional, Spiritual. Through the use of Acupuncture, Massage, Herbal Medicine, Nutrition and Exercise you receive an individualized treatment to address every level of your health concerns. When you receive treatment with us, you get: 1. Balance your mind, body and soul. We are a wellness center located in the Denver Metro Area specializing in acupuncture. Some of the benefits of acupuncture include relaxation, stress reduction , pain management, injury recovery and relief from pain. We try to offer more availability and charge less so that you can get the help you need. We are a hollistic wellness center located in Denver, CO. We provide Acupuncture, Herbal Medicine, Nutritional Therapy, Biomedicine, Massage Therapy, and Vibrational Healing. Each practitioner is highly trained in their field, and will provide comfortable care for many different ailments. We are a wellness center that you can trust! 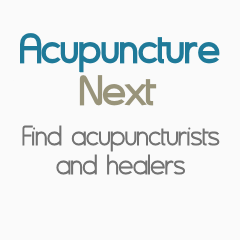 Listed as one of Boulder Counties top 3 Acupuncture Clinics. The emphasis of David’s practice is on Wellness and Prevention. David Fitch is a Nationally Certified and Colorado licensed Acupuncturist and Oriental Medicine Practitioner. His special interests include Sports Injuries, Pain Management, Joint Mobility Management, Digestive Disorders, Emotional Well-Being, Immune Support, Wellness and Men’s Reproductive Health. Welcome to Five Branches Wellness. I have been serving the Boulder community since 1996, and offer a variety of complementary modalities. I mainly utilize Acupuncture, Rolfing ® , & Massage Therapy, but also have extensive trainings in Chinese Herbology, & Energy Medicine. The name of my business, “Five Branches” is based on the Five Branches of Chinese Medicine. Welcome to Five Branches Wellness! I have been serving the Boulder community since 1996, and offer a variety of complementary modalities. I mainly utilize Acupuncture, Rolfing ® , & Massage Therapy, but also have extensive trainings in Chinese Herbology, & Energy Medicine. The name of my business, “Five Branches” is based on the Five Branches of Chinese Medicine. Empowerment, Transformation and Ultimate Health!